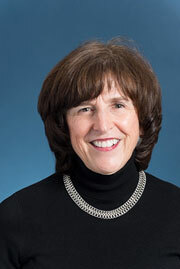 Throughout a professional career that has spanned 45 years, Susan M. Getman, MSW has lead services for children, youth and families through municipal and state government as well as non-profit organizations. These programs and services have included those related to mental health, substance abuse, special education, youth development and public health prevention. Recent highlights are as follows. In May 2012 Getman became the third President & CEO of Walker, a Massachusetts-based, non-profit organization which was established in 1961. Dedicated to transforming the lives of vulnerable children, Walker provides special education, residential and community treatment services to those with extremely serious emotional, psychological and behavioral challenges. With a budget of $22M Getman lead a transformation of Walker’s organizational culture, physical resources and programs that span two campuses in the Greater Boston area in addition to community-based behavioral health services and statewide advocacy, consultation and training programs. Prior to joining Walker, Getman was Senior Director for Strategic Consulting at Casey Family Programs, a leading, national foundation based in Seattle which aims to improve the safety, permanency and well-being for children who are involved in the state child welfare systems. Advancing systems change through strategic consultation, public policy advocacy and support of best child welfare practices, Getman was responsible for leading major initiatives in each of the six New England states. Serving for five years (2002-2007) as the Massachusetts Department of Social Services Deputy Commissioner, Getman oversaw services to 48,000 families and a $750M budget supporting 4,000 staff. She spearheaded system’s policy and services reform including those which radically changed the state agency’s child welfare practice model. Growing up in the shadow of the nation’s capital during the era of civil rights and other social and political movements, Getman continues to be dedicated as a social justice advocate particularly related to racial equity and to the civil rights of LGBTQ people.